It all started Monday morning after authorities received several reports of an erratic driver striking several vehicles in Harris County, according to the Montgomery County Pct. 3 Constable's Office. Once the vehicle entered the constable office's jurisdiction on I-45 near River Plantation Drive, deputies gave chase. The pursuit eventually came to an end, and authorities seized a gun from the scene and detained two people. However, officials say the driver ran off into a wooded area with large lakes. Officers found him seeking shelter from alligators on an island in the middle of the lake. Authorities used a boat from the Conroe Fire Department to go get the suspect off the island. 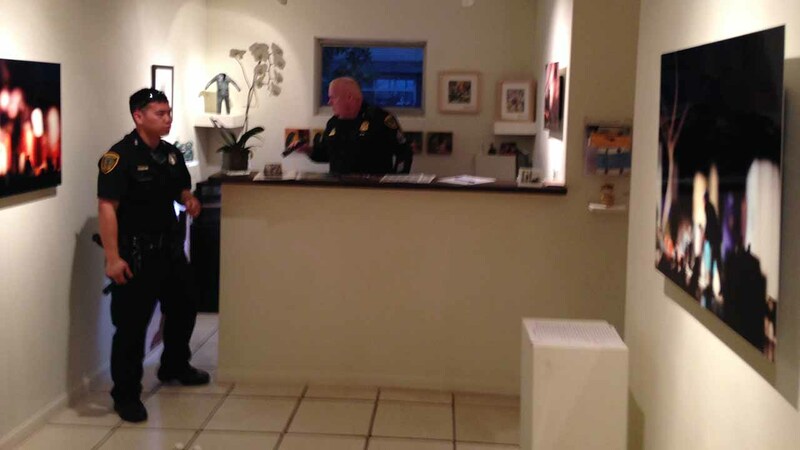 He was eventually arrested without incident. The constable's office says the suspect faces several charges, including DUI, multiple counts of failure to stop and give information, as well as evading arrest. Authorities say the driver is already a felon and admitted he was released from prison nine months ago. This wasn't the only chase in the Houston-area on Monday. 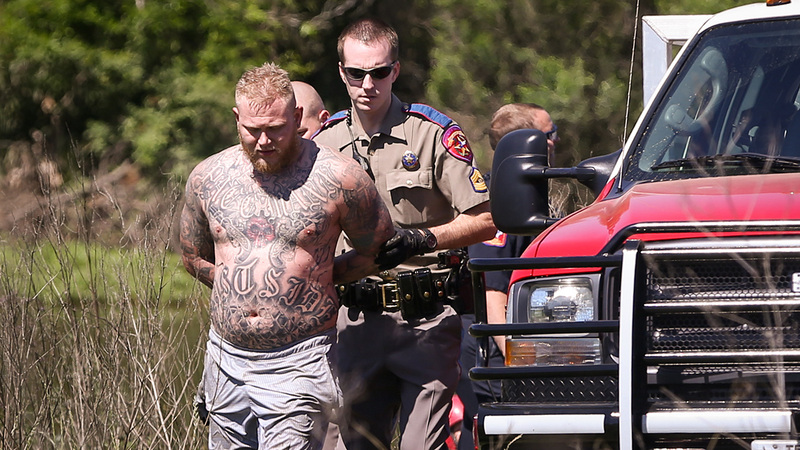 Another chase in Brazoria County also ended when that suspect jumped into a body of water. 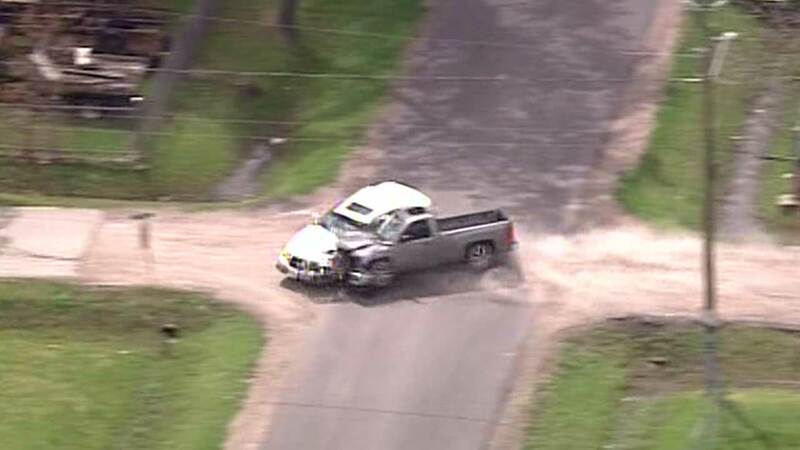 A police chase in northeast Harris Co. came to a violent, crashing end, before the masked driver took off on foot.